Bird Control Linton grange » Tel: 0828105617 » Port Elizabeth The Port Elizabeth Pest Control Experts! Birds such as starlings and pigeons pose a huge problem here in Linton grange and are pests, weather they are nesting on you gutter, chimney or you would just like to have them expelled from a certain area to ensure a peaceful nights rest and no further un called for damage to your property we have the experience and means for successful bird control. Here in Linton grange and surrounding areas, we have local bird control specialists that deal in all aspects or bird proofing, control and exclusions. Linton grange Pest Control, Install the most specialist methods of bird exclusion available in South Africa. Applied and installed by our specialist bird team you cant go wrong. Due to modern living pest birds may be vectors for a number of diseases and parasites. Their faeces given the right circumstances can have potentially deadly fungal spores. And host a number of associated insects and mites. Linton grange Pest Control have a professional team of bird control specialists that deal with any potential problem. Our Pest Control staff can identify the ingress points birds use and key areas, install permanent repellent methods and treat any potential parasites, insects or spores associated with birds and their faeces. 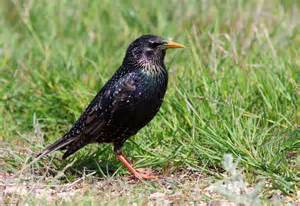 If you suspect you have starlings, pigeons or black back gulls among other pest birds in your property causing havoc and damage be sure to contact Linton grange Pest Control and Bird Control experts for a no obligation bird control quotation and have your unique problem sorted out by compassionate professionals.